In April 2010, released their first EP “Karasu to Medama”. In October 2010, current drummer joined the band, along with staff members. In July 2011, released their single “Toberu/Yuurei Dance” with the current lineup. The single was sold limited to concert halls and Disk Union. 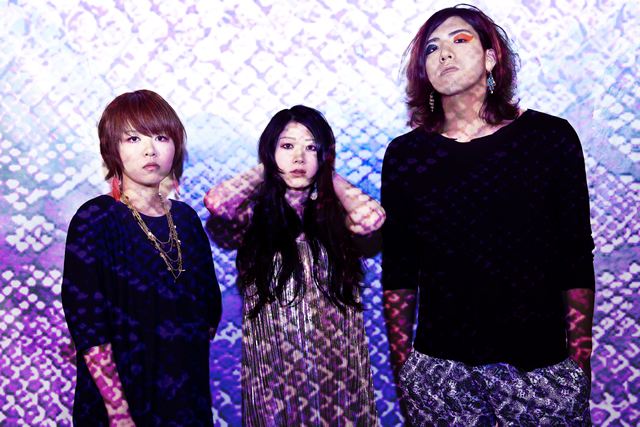 In October 2012, announced the release of their new album “Mousou Tengoku”. A 3-piece alternative rock band formed in hometown Kobe, featuring a female vocalist.